This workshop is offered again March 13th, 2016. 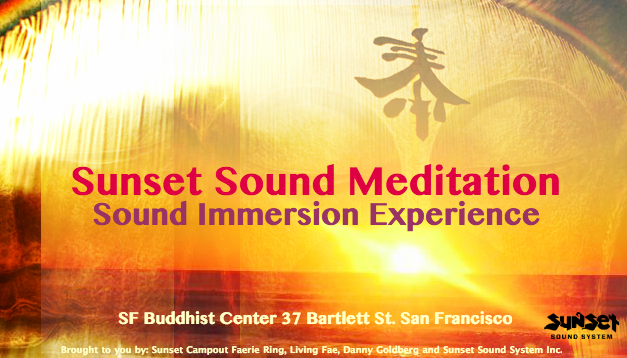 For a complete listing of Sound Healing workshops please go to Danny Goldberg’s event page. 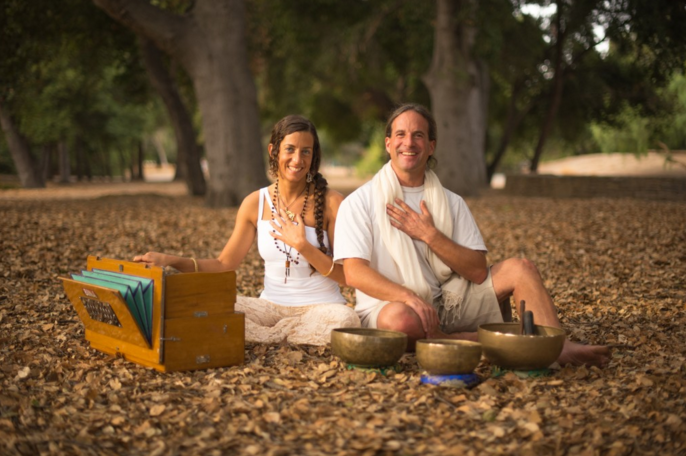 On Sunday, December 13th Sound Healer and Yoga Instructor Ambika Devi Daniella Cotreau and Sound Healer Danny Goldberg host their Restorative Yoga, Sound Healing and The Heart workshop at Breathe in Los Gatos, CA. This is a very powerful, transformative and relaxing 3 hour class to restore and invoke a deeper connection to the heart. The first 2 hours of the class are a Restorative Yoga led by Amibka Devi Daniella. During the workshop you’ll be anointed with Ambika Daniella’s special Essential Oil blends for the heart and intuition, and be guided with her yogic wisdom, while Danny Goldberg plays the gongs and Tibetan bowls to help raise your vibration and remove blockages. 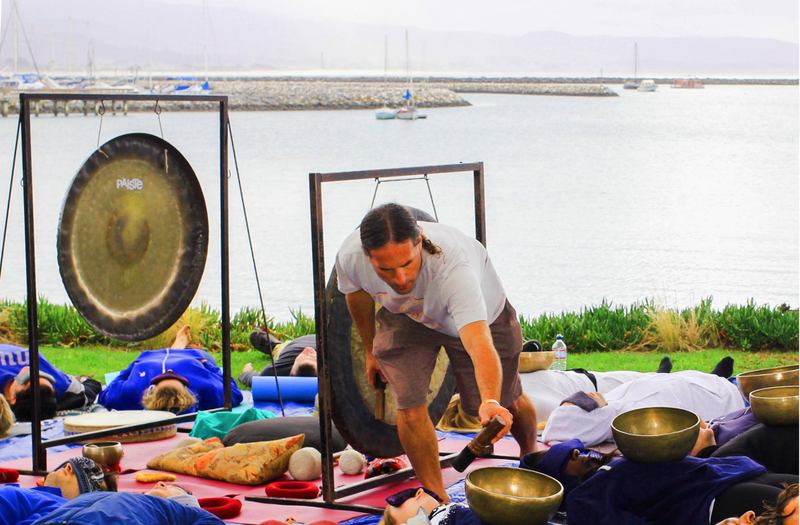 For the last hour, you’ll lie restful and experience Danny Goldberg’s Sound Immersion with gongs, chimes and Tibetan Bowls. The bowls can be placed on your body to amplify the experience. Ambika Daniella also sings with mantra, toning and playing her harmonium. The workshop closes with a group chanting to invoke the heart energy. The holidays can bring us great joy and blessings, but they can sometimes also prove to be stressful and unhappy. Whether you are joyful like Cindy Lou Who this holiday season or feeling stressed and unhappy (especially if you are stressed and unhappy) like the Grinch, I recommend treating yourself and experiencing this workshop to expand your heart. I’ve been blessed to have experienced this workshop more than once and I more than highly recommend it. I think its my favorite workshop of all time. Both Ambika Devi Daniella and Danny Goldberg are masters at this work, and Ambika Devi Daniella is the embodiment of a true Living Fae. Register in advance, the event is known to sell out! Love, light and faerie dust! ¨`*.✫*¨*.¸¸.*¨`*.✫*¨*¨`*.✫*¨*.¸¸.*¨`*.✫*¨*.¸¸. *¨`*.